What does the classic Warner Brothers 1953 movie House of Wax have in common with the 3D slots games found in Las Vegas style online casinos? They both use the third dimension, depth of field, to take a traditionally accepted form of entertainment and make it more realistic and enjoyable. House of Wax was the first feature film in stereo sound to deliver 3D technology, and the last couple of years have seen significant strides in the audio and video streaming technology used to deliver the three-dimensional experience to the most popular Internet casino game, slots. These 3D slots deliver a brand new take on the traditional Vegas online slots experience. Here are a few screenshots to show you how unique the games really are. 3D slot games generally take one central theme and expand on it in an in-depth fashion much better than the standard Internet slot experience. If you enjoy playing slots online, but find yourself bored with the repetitive and less than exciting game play traditionally offered, then 3D slots is probably what you have been looking for. While most current progressive and standard 3 reel and 5 reel Internet slot machines are all based around a central idea or theme, the three-dimensional variation lets you assume a significant role in that theme. 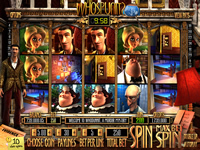 You are offered multiple opportunities to dictate how a particular spin turns out and how much money you win, with the characters created from cutting edge graphics technology literally jumping off the screen towards you, and even in some cases speaking to you. Take a look at this trailer to see what types of 3D games have been developed by BetSoft Gaming, which is the provider of 3D games to trusted RTG casinos. The legitimate Vegas online casinos which offer these 3D slots games do so at a much greater cost than the old school two-dimensional Web slot machine offerings of the past. However, there is no premium to pay, you are still looking at 5 reel and up to 25 pay line machines, many of which offer access to potentially life-changing 6 and even in some cases 7 figure progressive jackpots. And even though most Internet casinos do not support US players as well as international gamblers, there are a few legitimately licensed and certified offshore companies which have been offering access to Internet casino options for American players for years. And a few of these have added 3D slots to their casino offerings. Game play is still fast and simple, and is handled in the traditional manner. You choose a unit to bet and the number of pay lines you would like to play, and then you spin the virtual reels. But in this three-dimensional version, the added depth of field creates video and imagery which looks much more realistic than found on standard slot machines. Also, with many sites boasting dozens of separate 3D slot games to choose from, you can always find a theme which is custom tailored to your interests. You can assume the role of an underworld gangster, go treasure hunting, leap forward or backwards in time, encounter space aliens, or become a rock star. And many of these 3D slots games are available for free-play mode, so you can check them out and find the games that appeal to you most before opening an account and making a money deposit. 3D and 4K televisions have brought our TV shows and movies alive, reproducing in many cases "better than real" still images and video production. 3D slots does the same thing for the world of Internet casinos. These realistic 3D slots games will appeal to you if you prefer cutting-edge video and visual technologies delivered on powerful and reliable casino gaming software. You will enjoy an important role as a major character when you play 3D slots, generous welcome bonuses are offered, and you can play in free-play mode first before you decide to wager real money. Take a look at the providers of the 3D slots games we list here, as they are all legitimately licensed to provide support for US and international gamblers, and all offer a wide range of exciting and visually stimulating three-dimensional virtual slot machines. Bovada is one of the few RTG casinos offering 3D slot games. 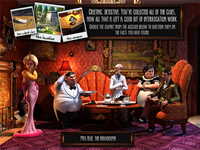 You will find these games in both their traditional and their mobile casinos. If you've never played a 3D slot game, then its definitely something you should try. Slots.lv has a strong selection of 3D slots to choose from, and like Bovada, they offer the games in their download casino, instant play casino and their mobile casino. These games are a fresh new take on slots.